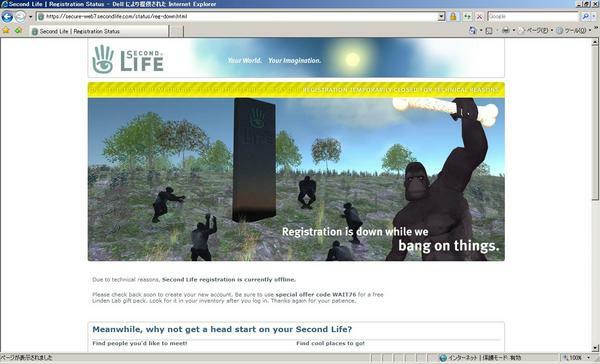 Due to technical reasons, Second Life registration is currently offline. Please check back soon to create your new account. Be sure to use special offer code WAIT76 for a free Linden Lab gift pack. Look for it in your inventory after you log in. Thanks again for your patience.